One of the most prestigious tech events anticipated by many industry experts annually is the International Consumer Electronic Show (CES). It’s a four-day event that showcases the top technologies and innovations by leading developers and companies, introducing consumers to the next wave of devices they should expect on the market in the coming months. Although the event for this year happened almost two months ago (January 7-10, 2014), we’re still in awe of what we witnessed at the conference, and we want you to know the best innovations that many of us witnessed at the event. 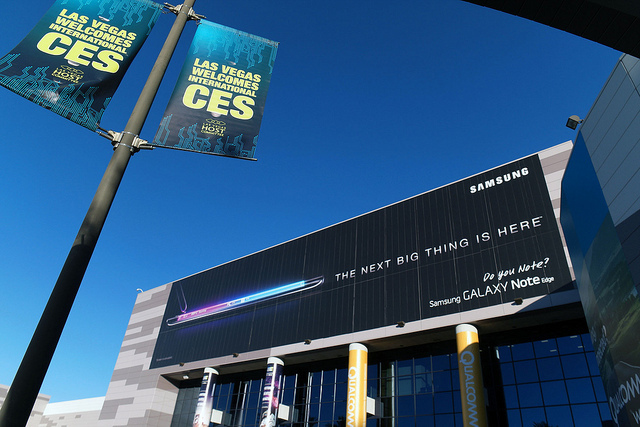 Previously, Kelsey listed the highlights and top gadgets featured at CES 2014. In this post, we want to present a round up of the best and much-awaited technologies all of us can expect to arrive on the market this year. 1. Sony announced the stainless steel edition of the SmartWatch 3. 2. Lenovo featured their first smartwatch, the Vibe Band VB10. 3. Garmin launched three wearables: the Vivoactive, the Fenix 3, and the Epix. 4. Alcatel presented the One Touch Watch. 5. Razer has an entry-level wristband, the Nabu X. 6. Withings introduced the Activite Pop. You can check out other wearables over on NDTV. Although the International event took place in January, CES Asia 2015 is still set to take place later this year. In fact, registration is still open for those who want to attend the conference on May 25-27, 2015 in Shanghai, China. It’s expected that over 100 companies from 12 countries will join the exhibit to be held at the Shanghai New International Expo Center (SNIEC). What’s your favorite technology and innovation that appeared at the CES 2015? What do you expect to appear next year?